. CONVENIENCE & CONFIDENCE To keep it simple and convenient, we can offer you Finance, Warranty and Insurance options to approved applicants. Cricks Sunshine Coast's Best Used Cars is The Game Changer when it comes to wholesale vehicles direct to the public and Auctions. We’re located on QLD’s Sunshine Coast, we source cars from all over the state and further – Australia wide. We’re proud to offer over 200 vehicles to our customers in our one stop shop, delivering competitively priced vehicles direct to the public. Our team are here to help you; we’re always buying and selling so we’ll have the vehicle you’re looking for, we sell on consignment, do onsite competitive valuations anytime, offer great rates and are able to tailor a finance and insurance solution to meet your needs. Here at Cricks Sunshine Coast's Best Used Cars we are proud to offer same day finance with competitive rates. Check out our Finance page for more information. We also offer insurance products to help you protect your new investment. Are you trading in or selling your vehicle? Come down and talk to our Valuers or fill out a valuation enquiry form. Don’t forget, we also sell on consignment – contact us via the valuation enquiry form to find out more. You get the comfort of an extensively tested vehicle. All our cars are checked by an independent mechanic and issued a QLD roadworthy certificate. All cars come with a PPSR report verifying the car has never been written off or on the WOVR register that verifies the car has not been rebirthed. I'm interested in a Used 2018 Nissan QASHQAI 2 (stock #U41474). 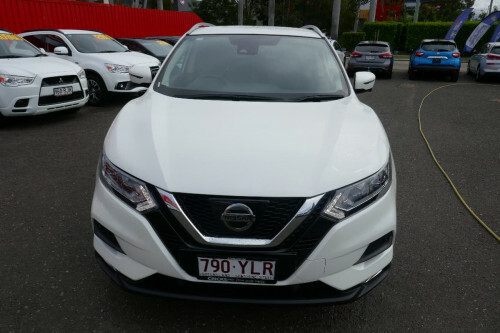 The Cricks Sunshine Coast's Best Used Cars is located in six big locations – our Cricks Nambour Super site, our Noosaville site at Cricks Noosa, our three Cricks Maroochydore sites in Sugar Road, Wises Road and Flinders Lane, and Cricks Caloundra. Having operated on the Sunshine Coast as a New and Used car dealer for over 20 years, these six Cricks Dealerships got together to come up with a solution for the growing demand for quality used car options on the Sunshine Coast.